Aston Martin today announces a limited series production of the exhilarating Vanquish Zagato Coupe; the latest creation from its long-standing partnership with the prestigious Italian design-house Zagato. 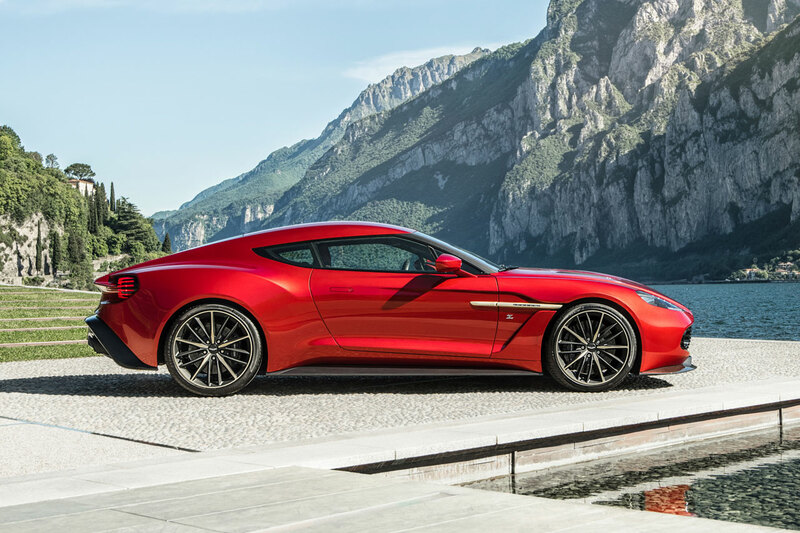 The Vanquish Zagato Concept was unveiled to great acclaim at the prestigious Concorso d'Eleganza Villa d'Este at Lake Como, Italy in May 2016. 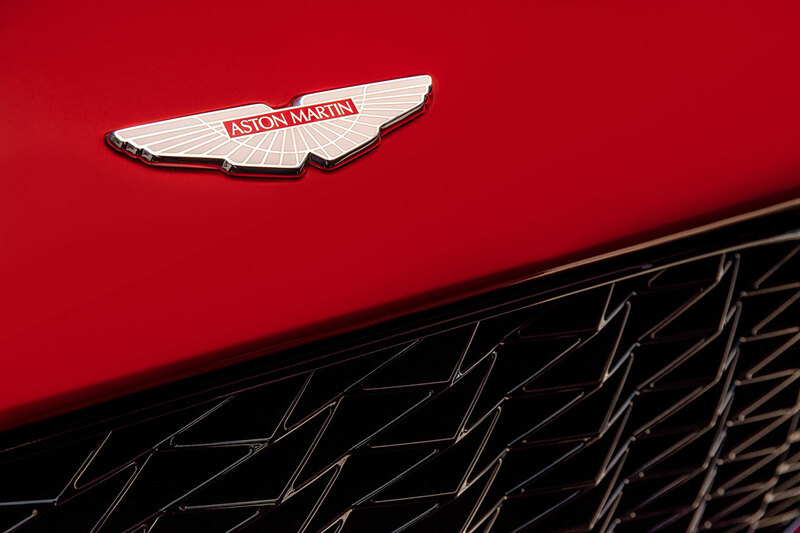 Thanks to unprecedented customer interest, a strictly limited production run of 99 cars will be built to order at Aston Martin's production facility in Gaydon, England. 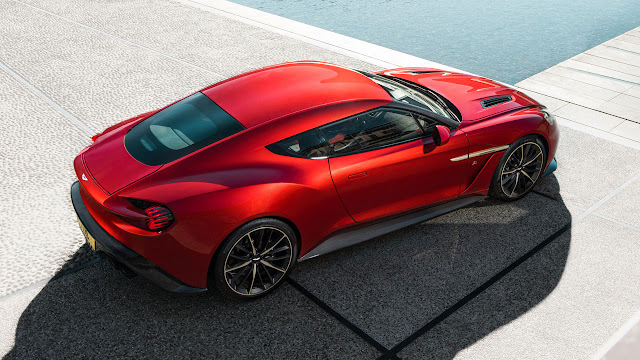 Vanquish Zagato is the fifth car to emerge from a collaboration that stretches back over five decades, pairing Aston Martin's acclaimed dynamic and material qualities with Zagato's signature design language. As well as spectacular sporting ability, Vanquish Zagato showcases the very best of Aston Martin’s bespoke luxury. The collaboration with Zagato began with the beautifully muscular DB4 GT Zagato racing car of 1960 – now valued at over £10 million -, and includes the V8 Vantage Zagato launched in 1986, the 2002 DB7 Vantage Zagato and the V12 Vantage Zagato revealed in 2011. 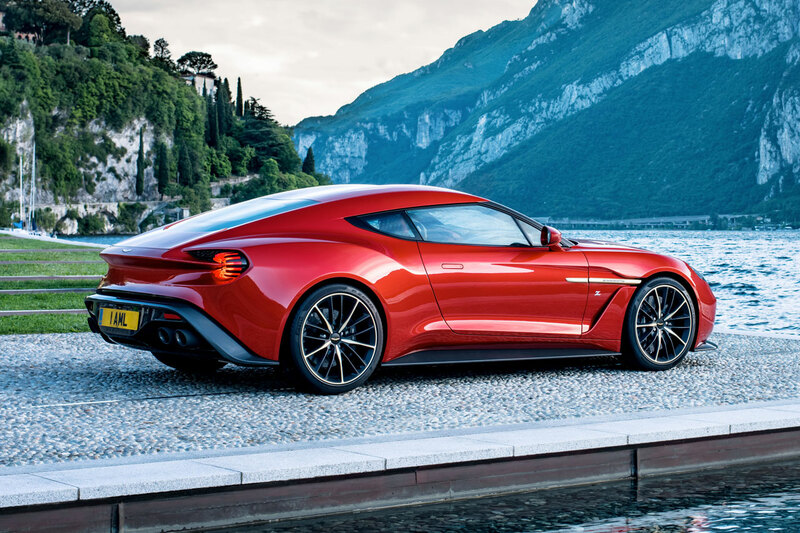 The Vanquish Zagato is a powerful addition to that portfolio; a GT car that blends Aston Martin's inherent refinement and capabilities with Zagato's characteristic design details, born out of racing and honed over many years of creating elegant luxury sports cars. Aston Martin's 6.0L V12 powertrain has been uprated to increase its output to 600PS1, capable of delivering a projected 0-60mph time of 3.5 seconds. 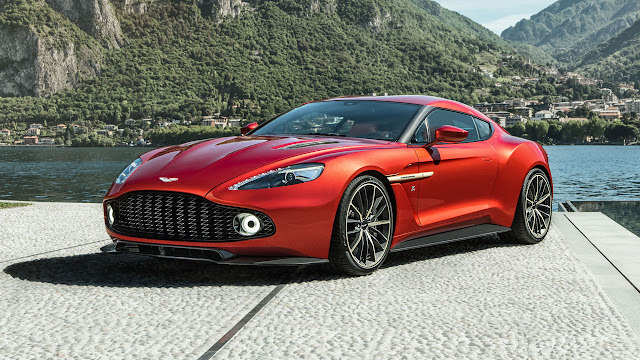 This added performance matched to a unique suspension setup will create a unique GT driving experience specific to the Vanquish Zagato model. 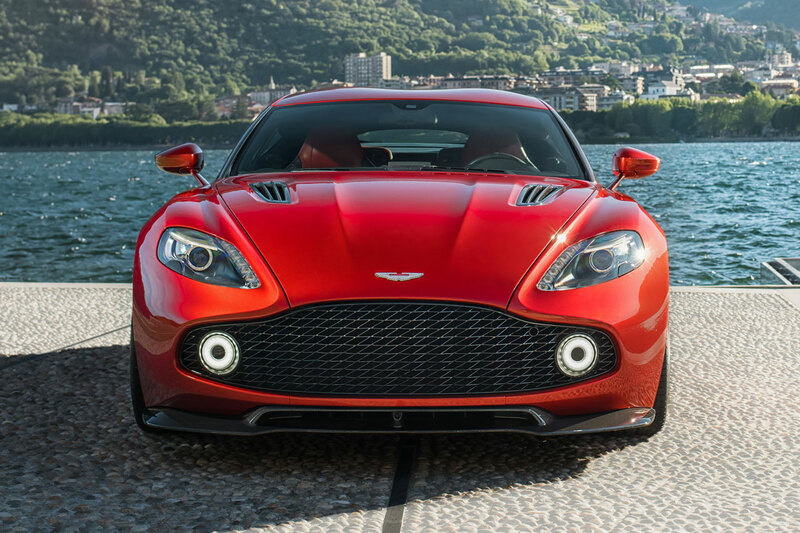 The design of the production Vanquish Zagato will be closely related to the concept exhibited at Villa d'Este. With proportions that remain quintessentially Aston Martin. The new bodywork is entirely shaped from carbon-fibre, with the split lines on the body significantly reduced by the use of large one-piece panels. 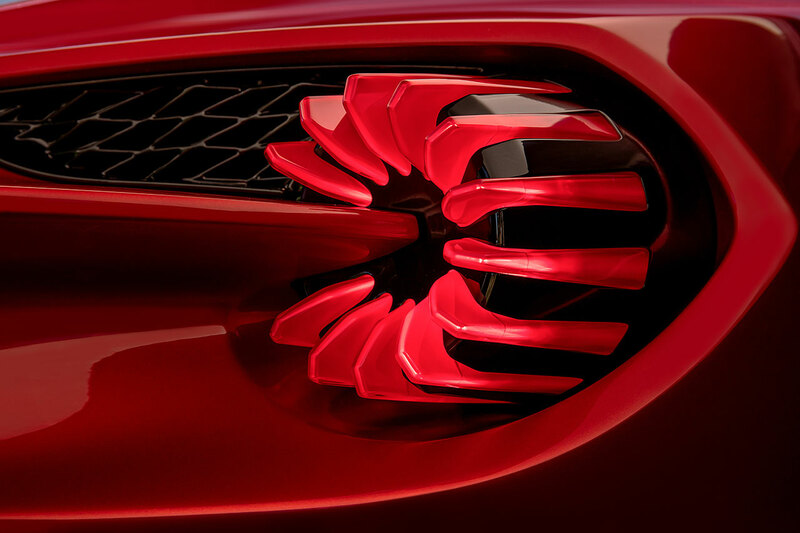 Other design details include new lights with round tail light reflectors that evoke the classic Zagato rear view, using the same 'bladed' LED technology as the Aston Martin Vulcan, while the wing mirrors are closely related to the units developed for the One-77. 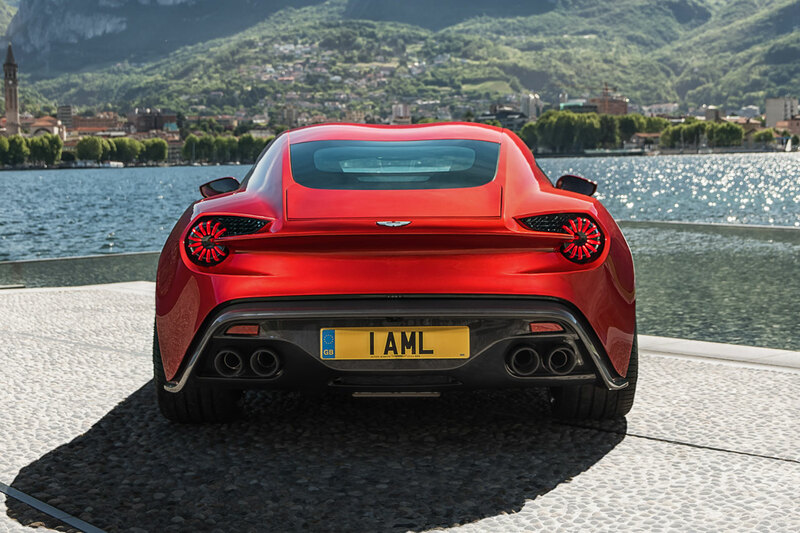 The Vanquish Zagato's sculptural rear end has a close relationship to DB11's aerodynamic profile, complete with retractable spoiler and rear hatch for easy access to the luggage compartment. Rippling carbon fibre sills run around the lower body to create a pronounced line from front to rear, with a quad-exhaust nestling within the curvaceous shapes. The Vanquish Zagato’s glasshouse wraps around the bodywork like a visor, enhancing its aggressive stance. A new evolution of the classic side strake runs from wheel arch to door just like the new DB11 and a detail originally showcased on the celebratory CC-100. A sharp crease on the rear wheel arch transforms into the rear flanks, where it meets the cascading roofline. The roof features the iconic 'double-bubble', its shallow radius dipping into the rear window glass to give the car an unmistakeable rear silhouette. 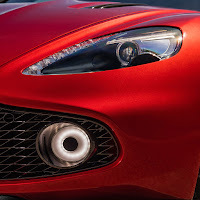 A Zagato trademark since the early 1950s, originally arose from the need to accommodate racing helmets with a minimum impact on the aerodynamic profile. 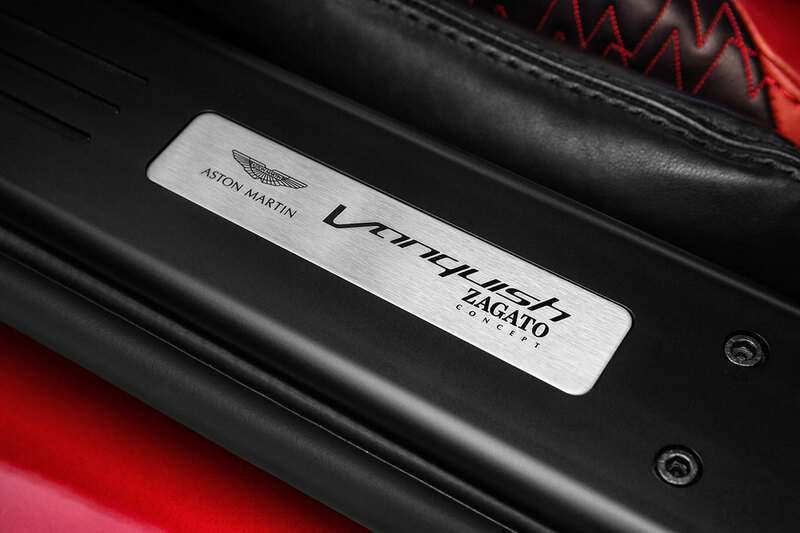 Inside, the Vanquish Zagato embodies the fine tradition of Aston Martin craftsmanship, replete with many singular touches. Herringbone carbon fibre is paired with shadow and anodized bronze and optional aniline leather to give the facia, vents and rotary dials a rich material quality. 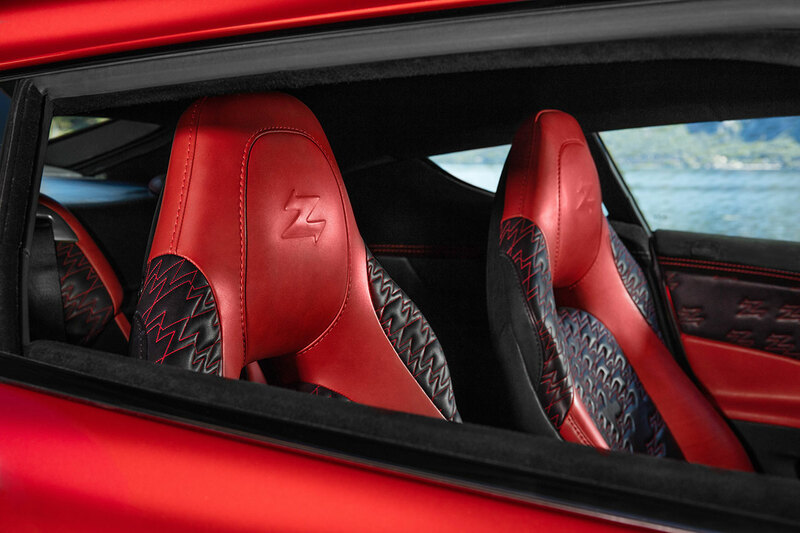 The Vanquish Zagato is also defined by the unique ‘Z’ quilt pattern stitch used on the seat and door sections, as well as the celebrated trademark Zagato ‘Z’ embossed on headrests and stitched into the centre console. The Vanquish Zagato is a significant new chapter in the history of the two marques, a truly exclusive sporting GT that promises to be an iconic and highly sought after Aston Martin. Customer deliveries will begin in the first quarter of 2017.